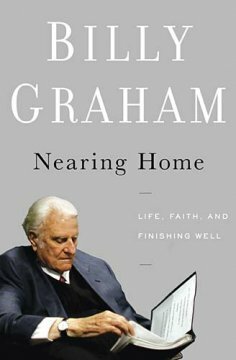 Billy Graham now in his nineties takes a look at old age and finishing well from a Biblical perspective in his new book, Nearing Home. Even though we're just starting out in life, my wife and I have talked a lot about the things Graham talks about in his book when it comes to old age, for instance God uses lots of people in their old age in the Bible: Noah, Abraham, Moses, Zachariah, etc; there’s a general attitude of disrespect for the elderly in our nation right now, which God specifically warns about multiple times; retiring when God retires us not when Social Security kicks in. 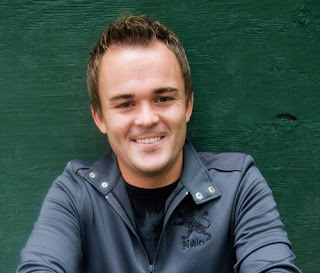 There were quite a few things I hadn’t thought about like leaving a will (and tithing ten percent of your estate in the will), building a legacy does not mean having children, but rather having good character because that is what your children will remember when you’re gone, and finally planning to use your retirement for the glory of God and not a vacation until you die. Overall, I highly recommend the book to anyone of any age. The wisdom presented within it is meant to help you finish life well whether you’re 25 or 105. Ultimately, Graham points over and over to the author and perfecter of our faith as the means of finishing the race, which is what his message has been for decades. I received a copy for review from the publishers. All opinions are my own. I used to work on staff with Pulse three years ago. So I’m pretty familiar with their work. Pulse has a remarkable story. It started at North Dakota State University with a small group of students who met together and asked “how can we reach our campus for Christ?” Since they had no answer, they turned to God. They began a 24 hour a day, 7 day a week prayer meeting that lasted 3 months. The group grew to about 300 students. Nick Hall wrote a proposal for evangelizing the campus for one of his English classes, and they took that proposal as their model. This student-led initiative gave $30,000 of their own money and began to set up events on campus, which culminated in a large event/concert that attracted about 5,000 students from their campus. That night 1,200 responded to the Gospel. Other colleges around the nation heard about what had happened and started writing and asked them to come to their schools and do the same thing, so they formed a non-profit ministry and started doing just that. Nick Hall heads up the group, and tens of thousands more have come to know Christ because of their work. On a side note, Nick emailed me about three weeks ago and let me know he was having dinner with his hero, Billy Graham, which is why I thought this book review was particularly fitting for featuring Pulse. PULSE @ Home Intro from PULSE Movement on Vimeo.